Posted On January 10, 2018 by Team iCynosure. With over 5,000 years of history, the six-yard of an unstitched piece of elegance, a Saree is still one of the most loved attires. A saree is either passed down as an heirloom from generation to generation or used as a functional garment worn every day. Still ubiquitous, the saree can be seen even today at leading fashion shows, in Bollywood movies, on every street in India, entrenched with the Indian culture. Over the years, the area has evolved, with many contemporary designers in India are experimenting with drape. Even though the Indian design community feels the debate of traditional versus modern that surrounds the attire, it is equally important that we are aware of the important shift in the garment aesthetics. 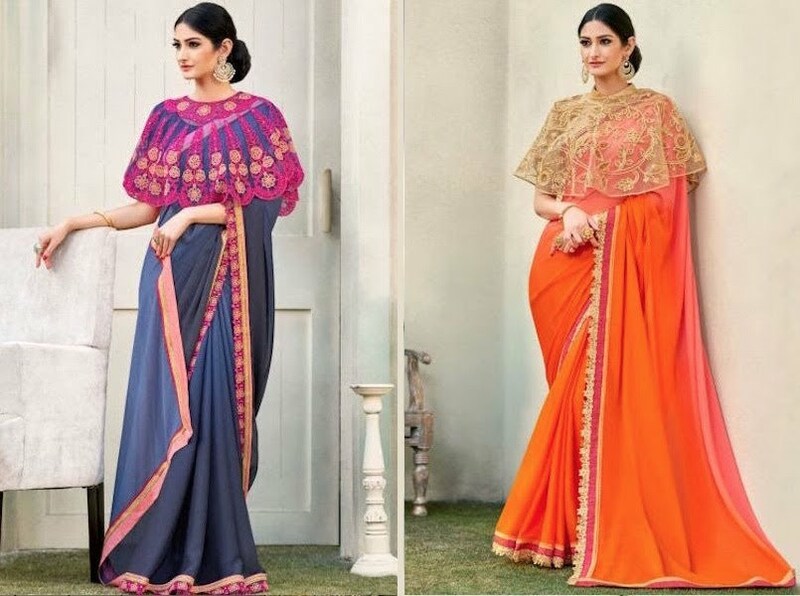 The saree has definitely come of age and below are three styles that every contemporary Indian woman must dabble with at some point in time or another. A woman's power to recognise herself overshadowing that of a superhero is what a cape saree does for her. Capes have transcended from western wear to traditional wear and finally have made their presence felt with a saree too. Cape sarees are the simplest way to add fusion to your traditional wear without going overboard. Cape sarees give the larger than life effect and make the wearer stand out in a crowd. A woman's go to attire to feel like a princess is a gown and what better than to bring together a saree and a gown to ensure traditional royalty. A perfect mix of traditional and modern clubbed into a drape that is half saree and half gown, giving her the elegance of a saree and the serenity of a gown, while making her look flawlessly agile and delicate, making her the cynosure of all eyes. A woman's resolve never to let go of the girl within her, has inspired the half saree. 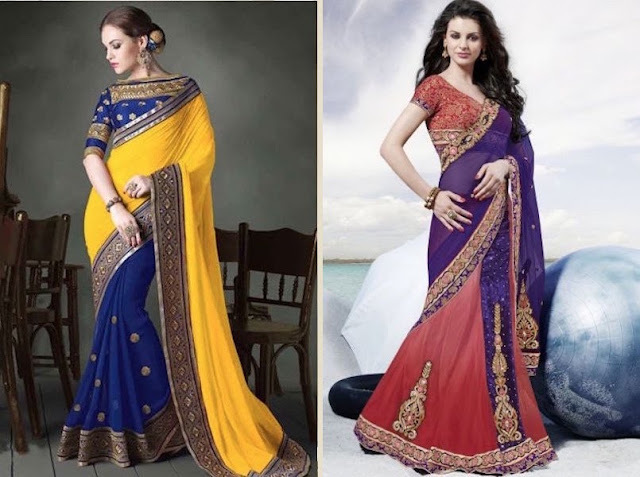 The half saree has been interpreted in two ways either as a three-piece attire with a choli, lengha, and a dupatta saree or a half and half combination saree put together with two different patterns. The half saree breaks the monotony of the drake with a fresh and stylish look. If you have tried any of these new modern saree styles then leave me comments about what has been your favourite, else browse through the latest sarees online and pick the best suited for you. Saree gowns and Lehenga sarees are in complete rage these days!! Loved the article! Thanx for sharing!